It's hard to start this without referencing the pending Shane Dawson series: The Mind of Jake Paul. We're on the edge of our seats waiting for it to drop (said to be 25th September). If you haven't seen the trailer it's here, and if you have no idea what we're talking about because you've never heard of Shane Dawson - check him out. If you have no idea what we're talking about because you've never heard of the Paul brothers, then lucky you. Back to something slightly more "on brand"... Fashion month is upon us (which I both love as a celebration of fashion and lothe because it messes up my birthday plans EVERY DAMN YEAR.) and our top looks from NYFW include Mara Hoffman, Tome, Sally LaPointe and Marc Jacobs. Then we have our top influencer looks you need to see, I'm biased but the stunner that is Tamara Kalinic in her full LV look was of course the star look for me of NYFW. Bomber jackets thrown over feminine white dresses with chunky boots - YES COUNT ME IN. Well done T.
Whilst we're currently in the midst of London Fashion Week madness, it's safe to say that most of my wardrobe over this week has been based around Topshop boots... Exclusively. Their boot game is strong right now and we highly recommend casting your eyes over their website ASAP before they fly off the shelves. Favourites include these snake skin babies, this tan pair and this incredible blue croc effect pair. And finally, the ones to literally watch - American Horror Story is back with Apocalypse their eighth season, and we watched with combined horror and joy in the office last friday. (Lois was fear, I was joy). But if watching Kathy Bates and Sarah Paulson get seriously sadistic isn't your thing then we recommend the (slightly) lighter and (definitely) more rib splitting Daniel Sloss in his two Netflix comedy specials. Episode two, Jigsaw has (at present count) broken up over 4000 relationships and 14 marriages with it's tough but so very true messaging delivered in his very dry but brilliant comical style. Give it a watch, but maybe not with your significant other. Need new boots – thanks for the recommendations!! I am so excited for The Mind Of Jake Paul, Shane Dawson is really killing it with his documentaries right now! Ok – I’m slightly obsessed with this series already, and it’s only #1!! Loved reading this, I honestly felt like I was reading a really interesting newsletter. So fab, can’t wait to read more in the future! Definitely looking forward to Shane’s new series. Really curious to know how Jake Paul will be portrayed; I listened to Marcus Butler’s podcast the other day, and his breakdown of it made a lot of sense!! love nyc fashion week its the best time of the year! I cant wait for Shane Dawson series looks so good. I really enjoy the LitList! I think it is amazing that you started to post regularly on your blog again! 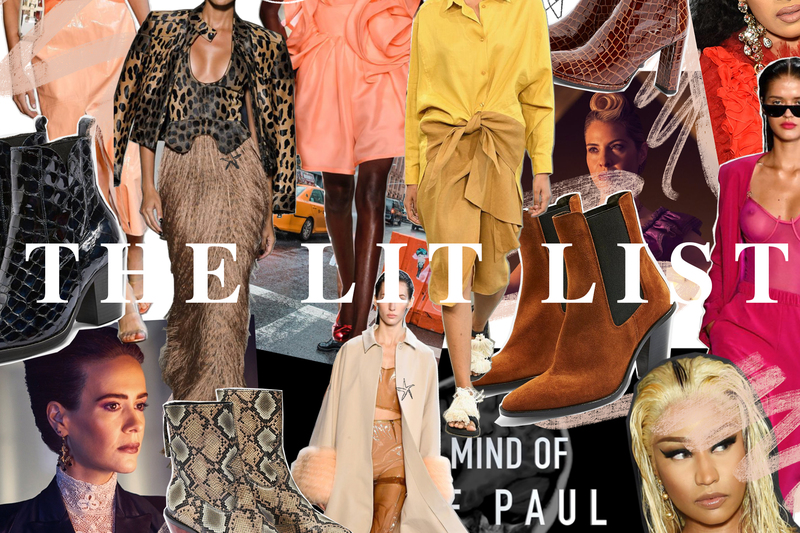 OMG the lit list… I’m obsessed! This is so cute! But uh yeah, now I am so very distracted LOL.